VISIT "THE SYSTEM" TO SEE HOW IT WORKS! The Hoegger Milking System is a masterfully manufactured piece of dairy equipment unique to the industry because of its portability and hand-crafted design. Hoegger Milking Systems produces hand-crafted, American-made machines. Their use of high-quality components and materials have made these systems among the most recommended milking solutions for small to medium size farms. Joseph Hoegger is the owner of Hoegger Milking Systems and inherited the milking system product line from his father, Joe Hoegger, Senior. Goats have been a family business for the Hoeggers since 1935 when Joseph’s grandparents began Hoegger Supply, Inc. out of their small home farm in Pennsylvania. While virtually all other systems are cow machines converted for use on goats, the Hoegger Milking System is designed specifically for goats but can also accommodate cow milking if needed. 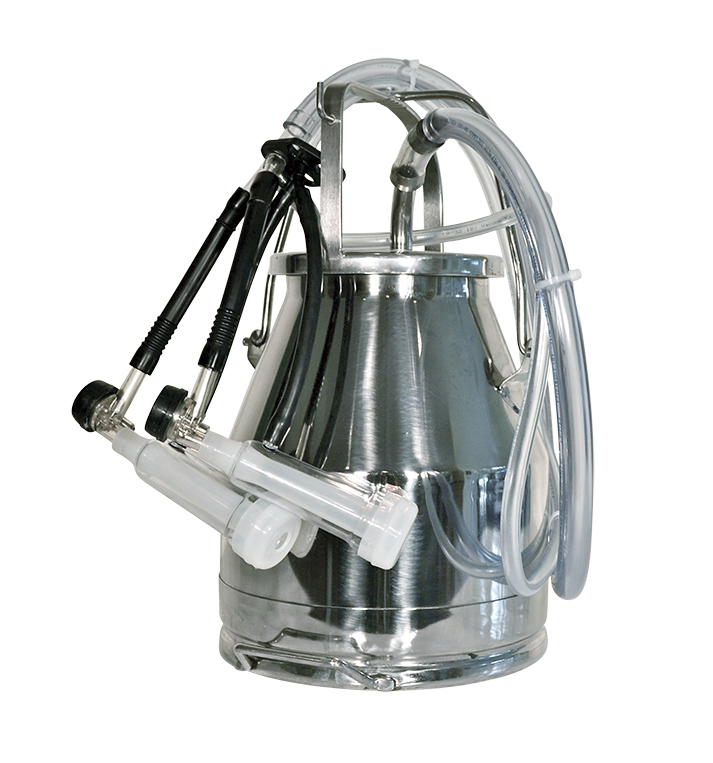 The Belly Pail configurations are simple and efficient solutions to your small dairy milking tasks. Both the single and the dual configurations offer the quickest setup and cleanup procedures on the market today. Now at 8 quarts, our new and improved pail allows more volume and easy handling with no claws or milk lines to sanitize and clean, milking times are kept to a minimum. The 35 lb. configurations offer a larger capacity milk receptacle to provide for fewer pail emptyings. While set-up and cleanup times are greater, it is quite normal to be able to milk 6 to 8 goats before emptying. Integrated features that make it easy.